Earth’s crops are drying out. There’s nothing to do to stop this. Humanity is doomed, and the last generation has already been born. Fortunately, the Lambcast is here to sort it all out. It’s been a while since we’ve had the chance to talk about a critically acclaimed film as the movie of the month, what with recent months delivering the likes of Timecop, Cocktail and Demolition Man, so it was something of a relief that, thanks to Will from Exploding Helicopter, we got to discuss Sam Peckinpah’s 1969 classic western The Wild Bunch. Well, it’s been an up-and-down week or so for the MOTM Champions angle. Your Shepherd, Joel Burman, was the only one to throw his hat into the ring for July, so I was all set to kill Champions and go back to just having me select five random films and having you vote on them. 2013 LAMMY for Best Community Builder! 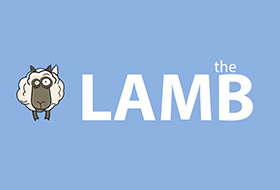 First off – if you haven’t yet, go follow The LAMBcast on Twitter! Close to two months since the start of the submission stage, the time to reveal the Sixth Annual LAMMY nominess is now! 1500+ blogs have been narrowed to 18 categories, and this is the moment when you get to learn which sites/podcasts/vlogs/people were selected by your peers to be amongst the nominees. What’s better than one feature discussion? How about four of ‘em?